Good news, y’all! Meso Maya has officially landed in Lakewood and with it, the culinary scene of East Dallas has changed. As an East Dallas resident myself, I must say that we have some strong contenders for great restaurants in the area but the new addition of Meso Maya has seriously elevated the neighborhood. Now, if you have been to one of Meso Maya’s other locations before, forget everything you know. The Lakewood Meso Maya has a more grown up, sexier vibe that allows it to be THE spot any day of the week since opening. A few weeks back, I was invited in to check out the new digs and try out some of their delicious food and in standard Meso Maya fashion, everything was absolutely perfect. The decor of this new Lakewood location is dark and woodsy. A stunningly large and opulent bar greets you as you walk in and boasts dozens of different tequilas for patrons to enjoy. 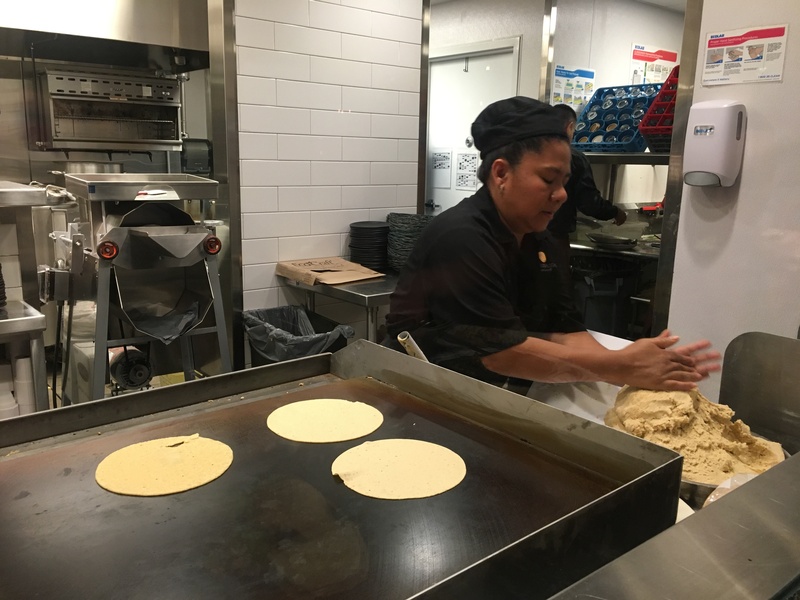 A semi-open kitchen with glass paneling allows the few lucky diners who score a booth along the kitchen wall to watch fresh tortillas being made along with the hustle and bustle of the action happening behind-the-scenes(ish). The food you know and love hasn’t changed a bit. Meso Maya Lakewood offers up the same favorites as always and it seems like with each visit I discover a dish that I enjoy even more than the last one I tried. 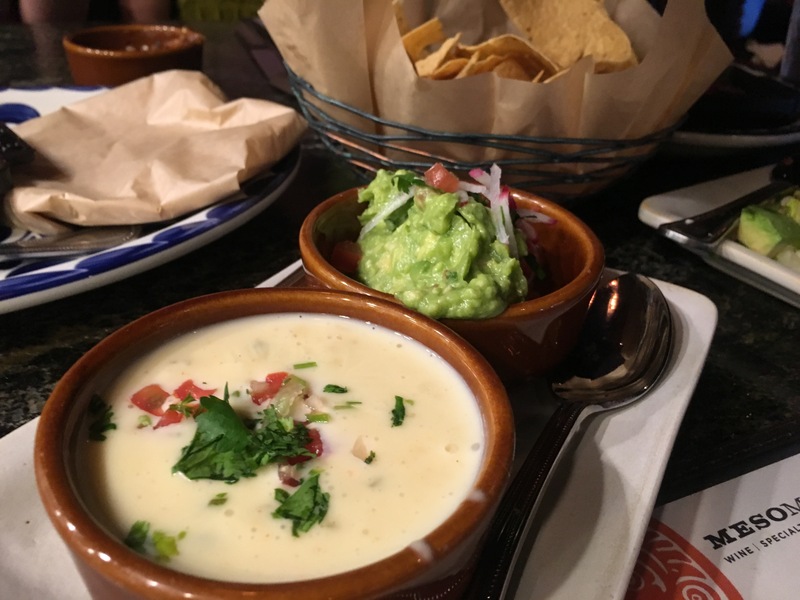 Queso Poblano: melted chihuahua cheese, creamy queso blanco, roasted poblanos, fresh corn and nopalitos. 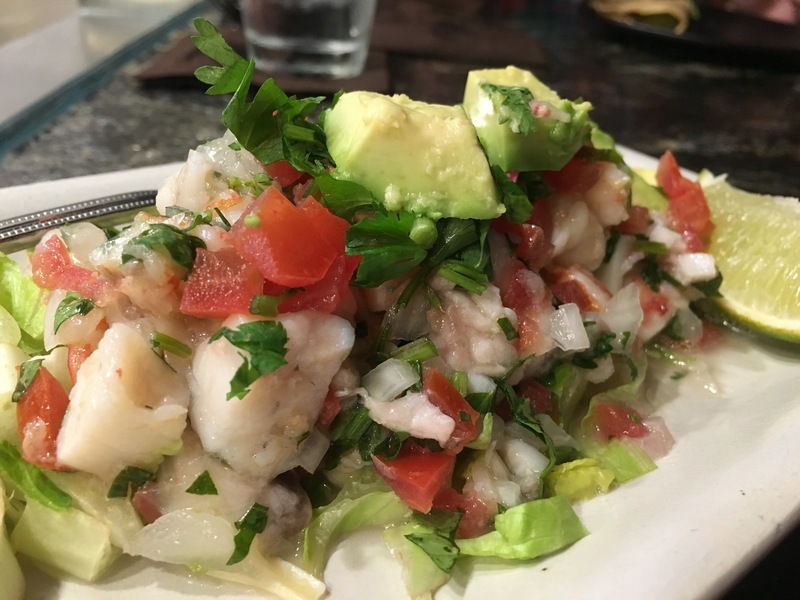 Ceviche Mixto: Mazatlan white shrimp, striped bass ceviche, fresh lime juice, jicama, tomatoes, serrano, cilantro and fresh avocado. 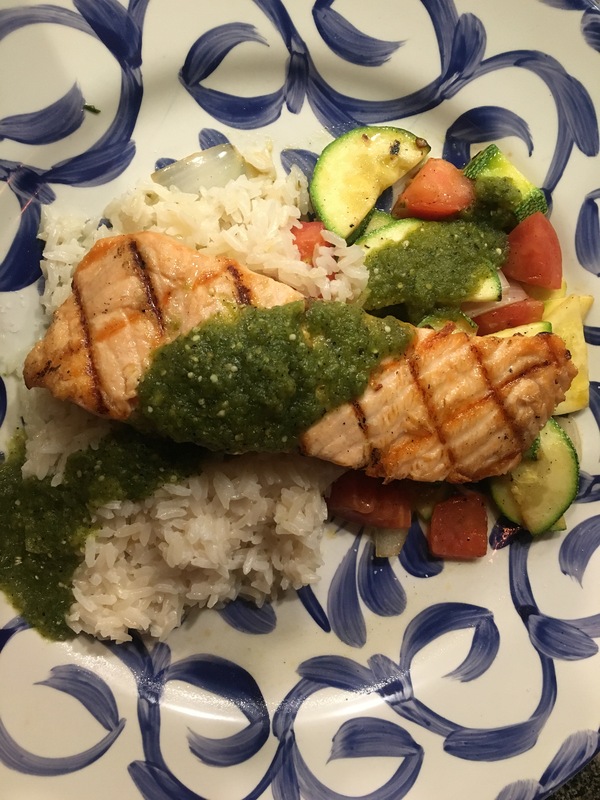 Salmon De Coco: wood-grilled Scottish salmon with creamy coconut rice, Mexican calabacitas, queso fresco and salsa verde. 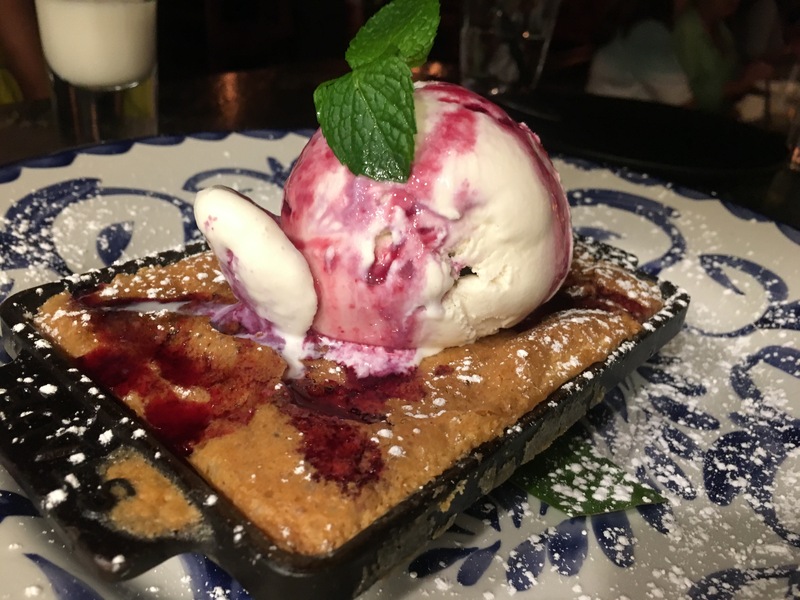 Pastel De Moras: skillet baked blueberry cake with Mexican vanilla ice cream and blueberry drizzle. 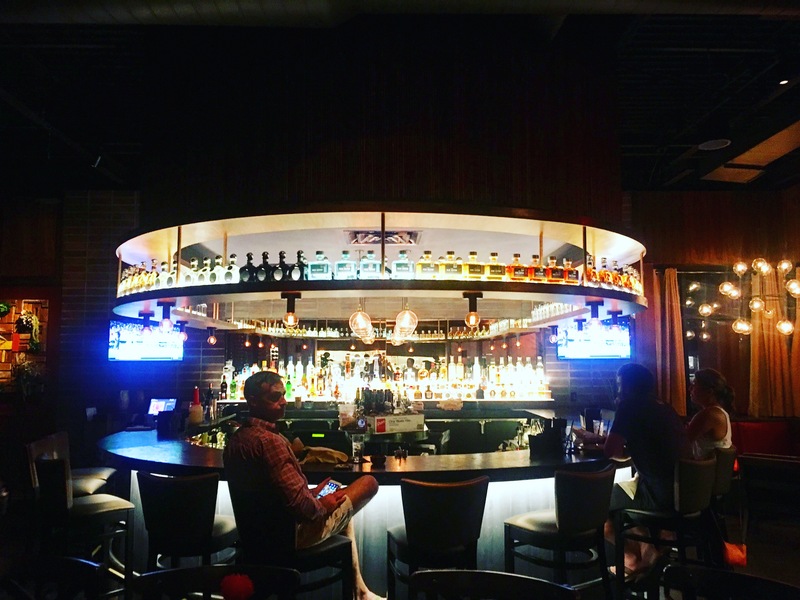 Whether you’re a Meso Maya regular or you haven’t tried it yet – their Lakewood location manages to be excitingly new yet familiar at the same time. Family friendly but somehow perfect for date night, as well, the new digs are sure to be your new favorite spot!